Damon Kline joined the Penn E&R team in May 2011. He is a licensed Professional Engineer and currently serves as a Senior Project Manager in the Engineering Group at the Hatfield office. Damon specializes in the design and management of large utility projects for the electric utility market. 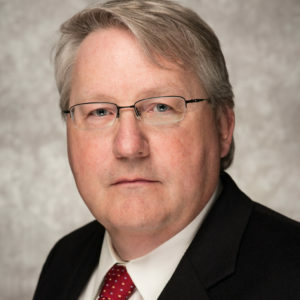 He has also served as Senior Project Manager on several key electric utility transmission/distribution projects throughout the state of Pennsylvania. 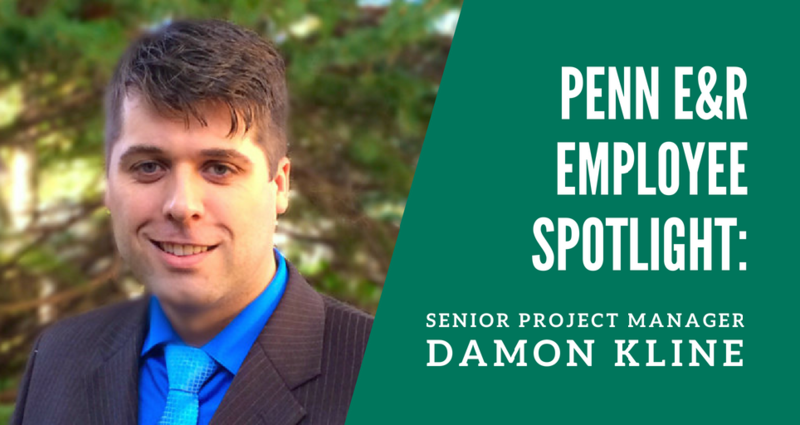 Of all his daily duties, Damon is most proud of his work assisting clients with the design, permitting, and construction of more than 3,000 miles of natural gas pipeline and electric utility lines across Pennsylvania. 1. What is your role at Penn E&R? I am currently a Senior Project Manager in the Engineering Group at the Hatfield office. 2. 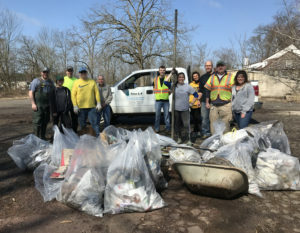 What is a typical day at Penn E&R like for you? A typical day can vary pretty significantly for me, but most of my day is spent talking to clients and/or reviewing authorities. A fair amount of my time is also spent coaching and mentoring the younger engineers on our staff. I was born in Abington Township and grew up in Horsham Township, Montgomery County, Pennsylvania. 4. What college did you attend? 5. What is one goal you’d like to accomplish in your lifetime? I’d love to take a month or two and take an RV trip across America. 7. What hobbies do you enjoy outside of work? With four kids under five years old, most of my time outside of work is spent playing with them. 8. What is something people would be surprised to learn about you? I actually really enjoy cooking. I don’t get to do it as often as I would like (and I’m sure it usually doesn’t taste as good as I think), but I really enjoy it. 9. Which is/are your favorite sports team(s)? All of the Philadelphia-based teams. The Phillies will always have a special place in my heart though. My wife. I have worked many jobs in my lifetime — some physically demanding, others mentally demanding, and a few that were both. Nothing I’ve ever done compares to what she does, every day, raising our four children. It is such a demanding, and often thankless, job that she manages to do so gracefully and effortlessly. She never ceases to amaze me. 11. What is your favorite part about working at Penn E&R? With the diversity of projects completed by Penn E&R, I constantly find myself being introduced to new opportunities and learning new things. My favorite part of Penn E&R has always been that challenge of stepping outside of my comfort zone. I could never work at a company where I did the same thing every day.